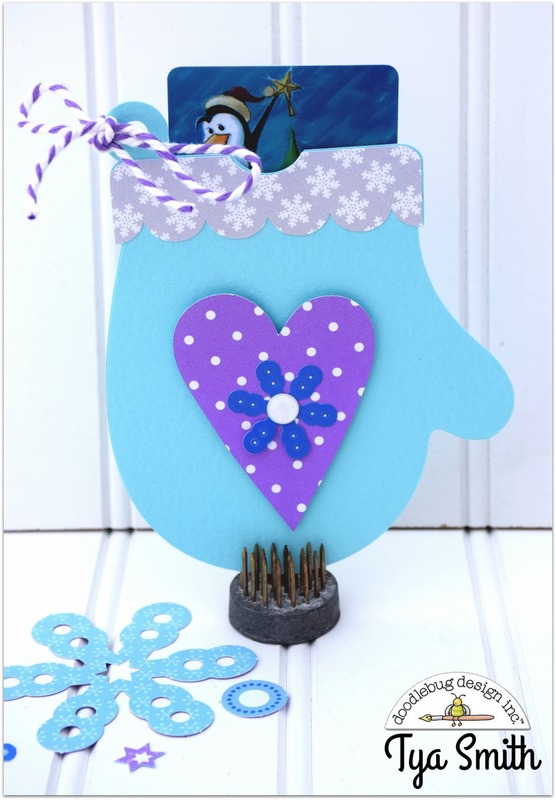 Hi there Doodlebug fans - It's Tya and today I am here up on the blog with a cute Winter themed gift set using the adorable new Polar Pals line. I have a very good friend who just loves winter - so I thought it would be great to make her this fun little set telling her thank you for being my friend. I used some snowflakes from the Craft kit and layered them on the front of the box. The snowflake is finished off with a sprinkle in the center. I also made this cute little tag to go on the bag using some stickers from the This and That sticker sheet and a darling purple penguin from the Icon sticker sheet. I finished the tag off with a shaped snowflake sprinkle and some lilac chunky twine. Next up I did a gift card holder. I loved this darling mitten shape and how it fit perfectly with the Polar Pals theme. I again used some snowflakes from the Paper Craft kit and finished the snowflake off with a white sprinkle. Then I added again some lilac chunky twine to the loop. Lastly I did a simple card with a thank you sentiment. More Icon stickers were used for the Snowman and the snowflakes. They also again have a sprinkle for the centers. The stripes are from the Fancy Frill sticker sheet. To tie all the projects together - some more lilac chunky twine was added to the bottom edge. Thanks so much for stopping by! Hopefully I have inspired you to create a fun winter themed gift set of your very own! Happy Crafting!! How wonderful! I love what you have designed here!! Just perfect!! 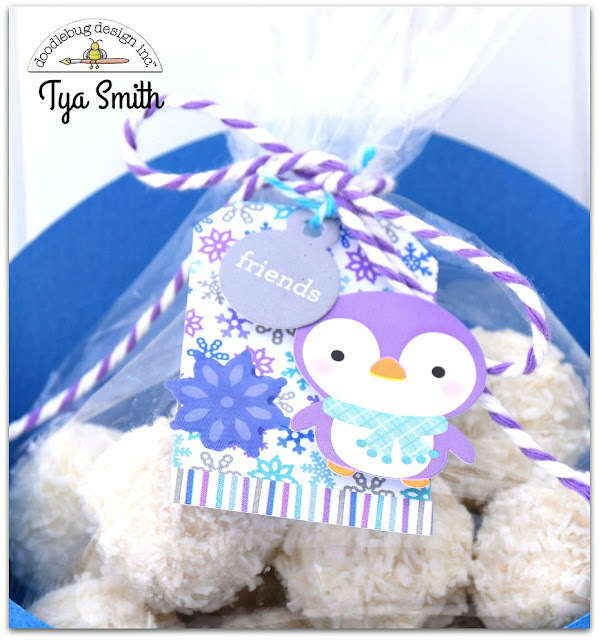 These are so adorable Tya! The little tag is the cutest ever!! Such a sweet gift set, Tya! 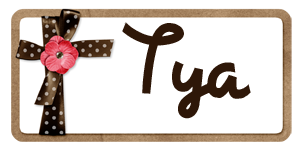 what a sweet gesture Tya! Love this set!